What can you expect from the Robert Moskovitz Company? We have been selling loose diamonds to customers throughout the world for over the past 40 years and have earned a reputation as expert diamond wholesalers. We offer certified diamonds as well as clarity enhanced & promotional diamonds in all shapes and sizes. We carry an extensive collection of GIA certified diamonds. As the world’s foremost gemological lab, GIA is entrusted with grading and classifying more gems than any other lab. We are proud members of the New York Diamond Dealers Club, the largest diamond trade organization in the United States, and one of the leading diamond exchanges in the world. Our Experience is invaluable to our customers. As promotional diamond experts, we can show you the way to higher profits with a small investment and low risk. We are a loose diamond company , in business for the past 40 years. We are members of the New York Diamond Dealers Club. Our inventory consists of both rounds and fancies, certified and non certified. Sizes range from 1/2 carats- 5 caraters. We specialize in promotional, inexpensive goods which can represent a vast, untapped source of profit for your company. As promotional diamond experts, we can show you the way to higher profits with a small investment and low risk. Our grading is very strict! You don’t have to be a rocket scientist, to realize that inaccurate grading is not cost efficient. It wastes our time as well as yours. 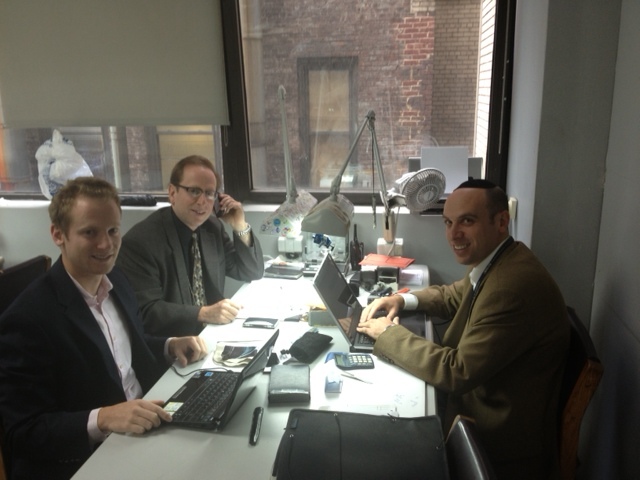 The principles of the company, Robert, Jay, and Michael Moskovitz take great pride in being service oriented. We are friendly, efficient, and most of all appreciative of your business. If you do not have a password, please fill out this form and if you are approved we will email one to you in less than 24 hours.